Shaker LaunchHouse was the guy responsible for the development of the region’s first business accelerator two years ago, and from that day the emphasis on software technology is easier to understand. Soon many programmers started developing applications as everyone was trying to launch the next Groupon or viral smartphone app. But spending some time to attract marginal local investment, the startup enthusiasts at LaunchHouse plans to return to their roots. Traditionally, Cleveland was a manufacturing town as the town if built by the sweats of people, who created the hardware. LaunchHouse, one of the pioneers for early-stage tech entrepreneurs in Ohio, is now planning to launch the state’s first hardware accelerator. They will be having a 16-week, business boot camp aim at helping startup teams design, test and market a physical product. It hopes to hasten the businesses of people that dreams to create something in the Cleveland-Akron tradition. Those, who focus on the online games and Internet shopping services are going to be out and those that are in the robotics, sensors and tech industry will boom. Darragh Caldwell and Todd Goldstein are the founders of LaunchHouse. Goldstein said that they want to push the idea of software to Cleveland, but it doesn’t works well like hardware. LaunchHouse leaders noticed that the nation is now saturated with software developers. So, they thought of churning out dozens of young tech companies, competing while competing with very little capital. Goldstein also notices that most of their graduates have move to another city to pursue their dream. It was then that hit them that the hardware industry is much more promising. That was the start of how LaunchHouse now concentrates on making hardware products. The new class will start this coming September and NASA Glenn Research Center figures want to send one of their own to teach in the campus. NASA will be sending someone to teach and also to learn some search of answers. Gregory Robinson, the center’s deputy director, noted that NASA Glenn is well-known when it comes to advanced aeronautics, spacecraft propulsion systems and microgravity science. But they have a problem with some new innovation. They have great inventors and NASA want them to think like an entrepreneur. LaunchHouse, which was developed in 2008 has helped lots of people in launching their own startups. 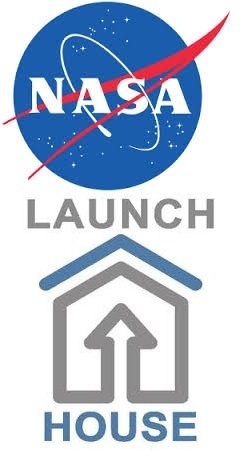 LaunchHouse invited NASA to join its hardware accelerator as one of its industry partners. NASA accepted the offer and they promised to share their scientific expertise, help with manufacturing and use of its uncommon testing facilities. Paolo is a Virtual Assistant, and is interested in Social Media and everything about technology.